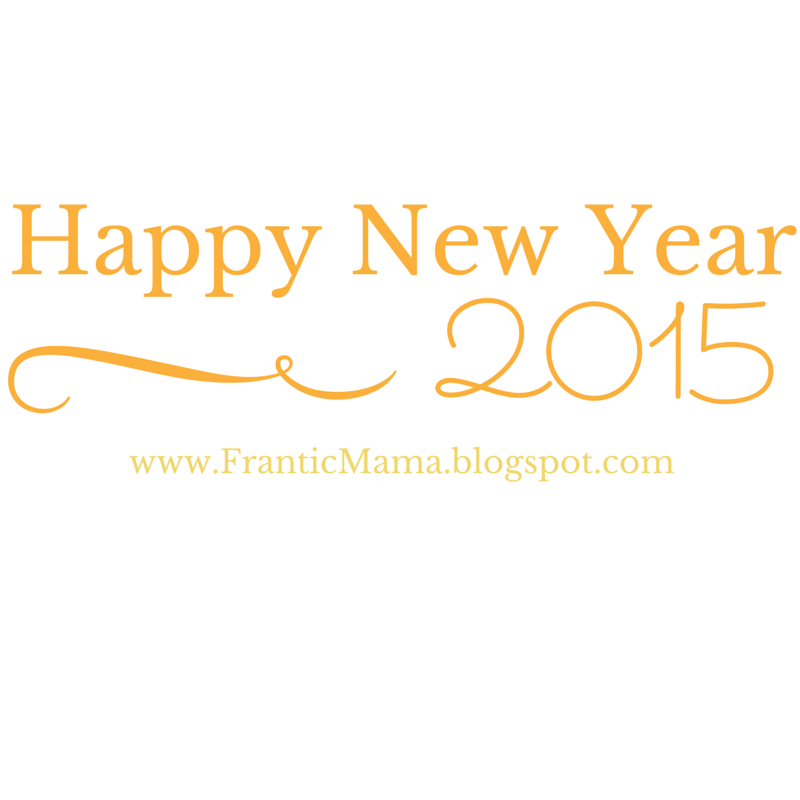 Happy New Year, Frantic Mama readers! I've never been one for self-punishing resolutions. What a horrible way to start a new year: "I want to lose 10 pounds! I want to keep my house perfectly clean! I will never eat ice cream again!" Ugh. Instead of sentencing yourself to something that will likely make you feel less happy in the upcoming year, I urge you to join me. For as long as I can remember, I try to think of a few positive goals I hope to accomplish or work towards in the coming year. Sometimes, in a good year, these goals stick with me for 12 months, whispering to me in the back of my head and keeping me focused. Other times, as happens in life, my January 1st resolutions slowly begin to take a backseat to something more pressing, and they simply fade away by the closing of the year. Last year, I wrote about the goal of worrying less in an effort to enjoy my daily life more. (Find it on What the Flicka). In all, I think I did enjoy myself more this year. Even writing down the goal of "worrying less, enjoying more," kept me more aware of my tendencies and pushed me to let go a bit more. This year, I'm focusing on 2 of my current endeavors: writing and horses. Right now, outside of my family, writing is my main focus. While I can't currently support my family doing it, I love it and I hope to continue to feel inspired and able to come up with fresh, meaningful posts and essays in 2015. I also hope to connect with more readers and find good publishing fits to broaden my audience and gain publishing experience. As far as hobbies, I have missed having one recently. This is because writing has become less of a hobby for me and more of a professional focus. However, I have always liked having something purely "fun" to focus on during my wee spare time. So, now, horses it is! As I wrote about here, I have always loved horses, and somehow I let life cloud this interest for many years. School, jobs, marriage, pregnancy, babies... all of that kind of took over. This year, I am hoping to find a stable I like and stick with it. I want to learn as much as I can about riding and horse care, and then someday share it with my daughter (who I hope will catch the horse bug too). What about you, dear readers? Do you make resolutions? Do you have any goals or ideas of what you hope to accomplish in 2015? I truly appreciate all of the support you have shared with me in 2014! Mama, What's the Temperature of Lightning?